Branded Merchandise, Promotional Gifts, Corporate Clothing & Merchandise - Insignia Marketing, Inc. Welcome to Insignia Marketing, Inc.
Insignia Marketing is a national-award winning, full service promotional advertising company, founded in January 2002. Representing over 900,000 items and 5,000 manufacturers, Insignia focuses on branding, promoting and delivering long lasting impressions and impacting those decision makers which matter to you most. Servicing small to large businesses our staff is ready to help assist you! Insignia Marketing offers you the largest interactive catalog available today with exeptional pricing. Our company is known for its excellence, professionalism, quick turnaround time and on-target marketing solutions. Our in-house graphic department is ready to execute your company's look and help you direct and create custom products. Insignia Marketing will no doubt be able to give your company the dynamic impression you need! 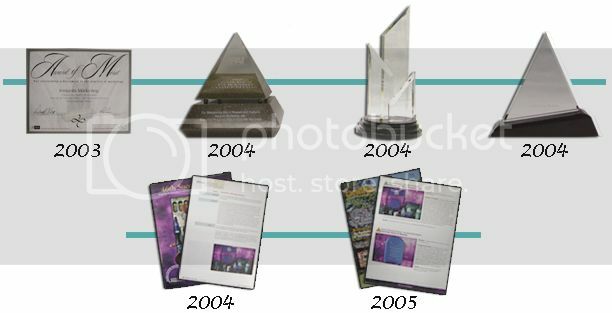 A Promotional Agency established in 2002, Insignia Marketing, Inc. provides quality promotional advertising products at a good value to a diverse client base, ranging from international corporations to local small businesses. Our focus is on customer service and successfully increasing each client’s brand/logo awareness within its target audience through the effective and creative use of promotional products. We continually update and incorporate the latest technology available in order to serve our clients more efficiently and thoroughly. If you are preparing and/or submitting electronic artwork on a disk or via e-mail, please observe the following guidelines so that we are able to process your order as quickly as possible. Our graphics department is set up on a Macintosh network, please save ALL files to be Macintosh compatible. If you are creating your artwork on either platform, please use one of the preferred software programs listed below to produce the best quality product possible. When preparing artwork . . .
Our art department can accept files from virtually all professional publishing and graphics software. However, we cannot accept any electronic art that has been created using the following programs: Word Perfect, Claris Works, Microsoft Works, Microsoft Word, or Power Point. Jpegs and Gifs are not acceptable. All artwork must either be saved as grayscale, bitmap or CMYK and at a MINIMUM of 300 dpi, this includes scanned artwork. If you are sending us your company's logo the preferred file format is an outlined EPS Vector file. Via E-mail . . .
• Please fax your confirming order and a hard copy of the artwork for our reference. • Please include in the e-mail message, your name, company name, and project/item name. • Maximum file size to be emailed can be no larger than 5MB. • Please contact us for larger files. Please enclose a hard copy of the artwork and your confirming order along with the disk, as well as information about how to contact you. 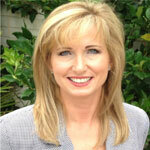 Christine is the owner of Insignia Marketing Inc., and has over 15 years of industry experience. She holds a BFA in Graphic Design and a BS in Marketing from Louisiana State University. By focusing on branding and message consistency, she is able to accelerate the business growth of her clients.